We greet you all, fellow workers in the Lord’s vineyard. By God’s grace another month has ended and we are very thankful to the Lord for His guidance and direction and grateful to you all our brethren for your continuous prayer and support to us at West Coast School of Preaching here in Takoradi, Ghana. This month under review also is the last in the year, 2018. Very thanked again to our Maker. We give below, the report of activities by the school during the month of December, 2018. The part time classes continued till the third Saturday of the month. Twenty two continually reported for classes all through the period. It continued to be the tur of Joshua Aidoo who took them through the classes. As part of the School’s evangelism campaign, we collaborated with both Mpintsin and Kojokrom congregations to assist them in a major campaign for Christ. All the immediate past students and the current students who had been offered admission were invited to join in. In all about thirty men participated in the campaign. 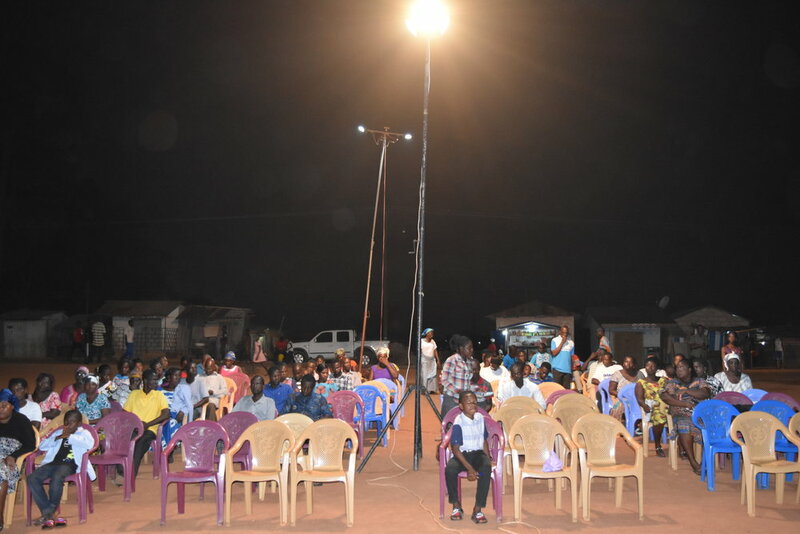 The church at Mpintsin paid for the cost of a live broadcast on a particular radio station here in Takoradi which made it possible for most residents in both the Western and Central Regions to be able to listen into the program. At the end of each day's presentation, time was allotted to the listeners to ask questions and also give directions as to their locations for a possible follow-up. This lasted for five (5) days. This was continued with another five (5) day campaign at Kojokrom. For lack of funds this last one could not be aired live on the radio. It also streamed live on both Facebook and YouTube. All these were followed with house to house evangelism during the day. Two lectureships were held at Aiyinase and Kojokrom during the period. In all these brother Joshua Aidoo was part of the speakers. Recruitment for the regular classes also continued and all prospective students were contacted and interviewed. Posted on January 29, 2019 by Keith Kasarjian and tagged Extensions Ghana Takoradi.